The 11 women below are some of the youngest and wealthiest female billionaires in the world. Some inherited their family's money, others inherited the family business, and two founded their own billion-dollar businesses. Let's take a look at these amazing and lucky women. They say that necessity is the mother of invention and that certainly proved to be true for Sara Blakely. While working as a door-to-door fax machine salesperson, the then 25-year-old Blakely came up with an idea for a revolutionary women's garment. She then used her entire $5,000 life savings to launch a line of body-shaping undergarments called "Spanx". Over the next 10 years, Spanx became a wildly popular item that has been imitated but never matched by dozens of major competitors. Today Spanx is a multi-billion dollar business and Sara Blakely has a net worth of $1 billion. Lynsi Snyder is the In-N-Out Burger heiress. The beloved burger chain was founded by her grandfather. When she turned 35 in 2017, she inherited the entire In-N-Out fortune. She owns 97% of the family company and has a net worth of $1 billion. Lee Seo-Hyun is the 41-year-old president of textile manufacturer Cheil Industries. She expanded the business into fashion and chemicals. She has net worth of $1.1 billion. Ana Lucia's great grandfather founded Itau, one of Brazil's largest banks. When Itau merged with Unibanco the new entity, known as Itau-Unibanco, became the largest non-state owned bank in Latin America. Ana Lucia has a net worth of $1.3 billion. The 44-year-old is the youngest female billionaire in Brazil. 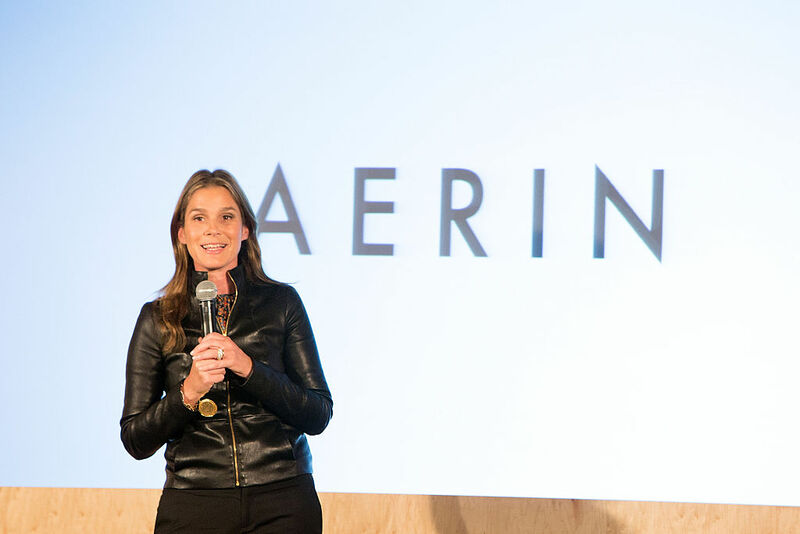 Aerin Lauder is the 46-year-old heiress to cosmetics giant Estee Lauder. She has her own cosmetic, fragrance, fashion, and furniture line. She owns 16 million shares of Estee Lauder and has a net worth of $1.85 billion. Holly Branson hit the genetic and financial jackpot. Her dad is none other than British billionaire mogul, adventurer, island owner, and founder of The Virgin Group, Richard Branson. But don't expect to see this well grounded billionaire offspring acting like a celebutard. Holly is an M.D. who works for The Virgin Group's charitable arm setting up healthcare clinics in Africa. Holly Branson is worth $3.8 billion. Dylan Lauren is the youngest child and only daughter of fashion designer, Ralph Lauren. Alongside her two brothers, the 40-year-old is heir to her father's $8.2 billion fortune—a number that is still growing. Dylan is also the proprietor of Dylan's Candy Bar, the world's largest candy store, which she opened in New York City in 2001. David Lauren works in marketing at dad's company and Andrew Lauren is a filmmaker. Amanda Hearst is the great granddaughter of The Hearst Corporation founder William Randolph Hearst. She is also the niece of bank robber Patty Hearst. Amanda has worked as a model and has appeared on the covers of Town & Country and International Harper's Bazaar. She is currently an associate market editor at Marie Claire. The Hearst Corporation owns all three magazines. Amanda Hearst has a net worth of $8.7 billion. Vanisha Mittal is the daughter of Lakshmi Mittal, the Indian steel magnate. Vanisha knows how to spend daddy's billions. When she married investment banker Amit Bhatia in 2004, she threw a wedding so lavish it made Kim and Kanye's nuptials look like a backyard barbeque. She is the only person ever to be granted the right to have a private party at the Palace of Versailles, which was the site of her engagement ceremony. She has a business degree and works for her father's company. She stands to inherit $15 billion. At 25 years old, Sara Blakely was an aspiring entrepreneur with an idea and $5000 in life savings. Today she is the youngest self-made female billionaire in history. This is how she did it!